This article has been viewed 1,012 times since being added on April 14, 2019. The article, "Don't interrupt the sorrow" by Paul Martin was spot on sort of. The Magdalene Laundries did not mention by name who the perps are that got these poor women pregnant and had to live in a Catholic home for unwed mothers. Just like Joni Mitchell does not call Jackson Browne by name in her song, "Not to Blame" about battered women. Both songs give a voice to the voiceless. A whole lot of women are beat up by mostly men, and the men get away with misdemeanors or even less by blaming the victims. Lots of men, including some famous ones like Dylan that Martin mentions feel threatened by Mitchell's genuine artistry. It's like night, night and day"
In concert, this song immediately sent chills up my spine. Joni Mitchell has a way of capturing a vivid snapshot of desperate Americans with power, with the flashlight being shown here on Judges and Presidents who hold all the power. Sound Familiar? Trump and Kavanaugh come to mind, yet she wrote the song way back in 1973! 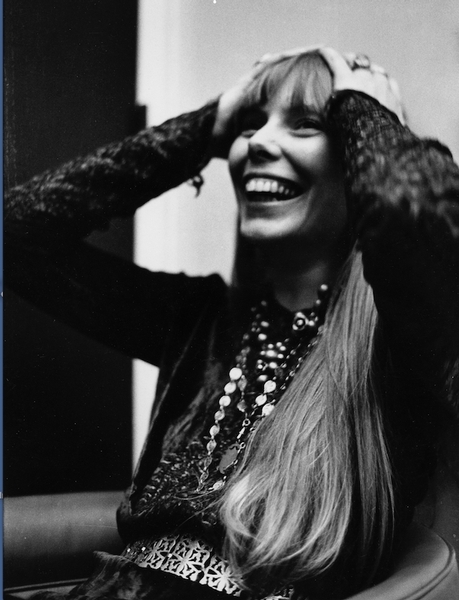 Joni Mitchell once lamented on Court and Spark, "I'm always running behind the times, just like this train." Mitchell has always been and always will be miles and isles upon eons ahead of her times. 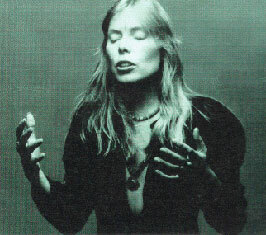 To me, Joni Mitchell is a reluctant shaman using her gifts of song, lyric, and art to interrupt our sorrow.